Mary sent me a text last night: "guess what guess what guess what". I called her immediately. "I have your saddle in my possession!" I squeaked with excitement. "I want to touch it! I want you to describe it to me in so much detail it feels like I'm touching it," I said. From the other end of the house, my husband jokingly yelled that we needed to get a room. "How about a haiku?" Mary said. Eeeeeeeee! It's even better looking with better pictures, and I have details. 16.5", 2013 model SE02, and a short/forward 1C flap. Full calf. Havana, but oiled to look nearly black. The shiny splotches are from the previous owner (a teenage girl showing H/J on the weekends in Florida) using something like Sadl-Tite on it, but I am told they will fade over time. I'm driving up Saturday morning, spending the day in the CWD booth at a H/J show with Mary, then driving back with saddle on Sunday, and of course making the obligatory stop at the barn on the way home with it. And crossing my fingers it fits him. Odds are good, since I'm working with someone who has ridden him/knows both of us, but I won't know til I know. Sooooo pretty! It looks brand new! And so jealous you got a professional tack cleaning, too! Oooo, it looks great! 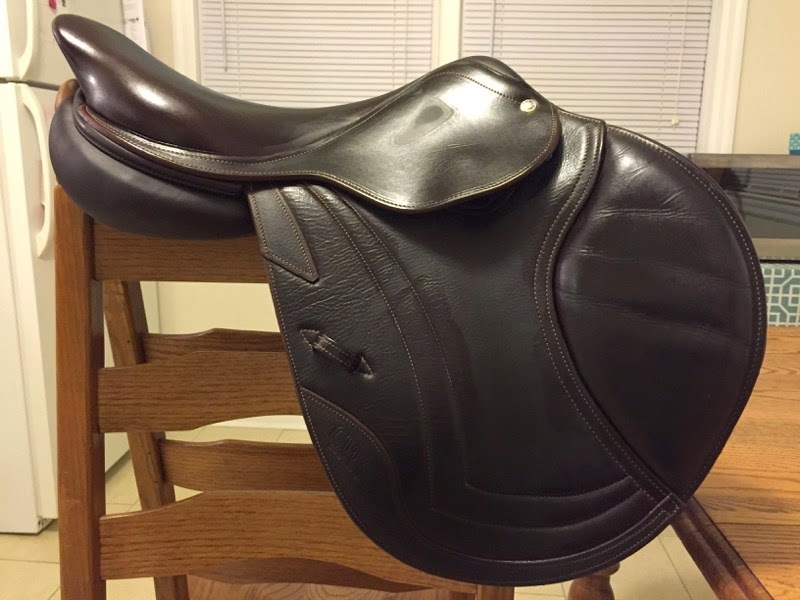 Crossing fingers that it fits your pony like a glove! I hope you love yours as much as I love mine. 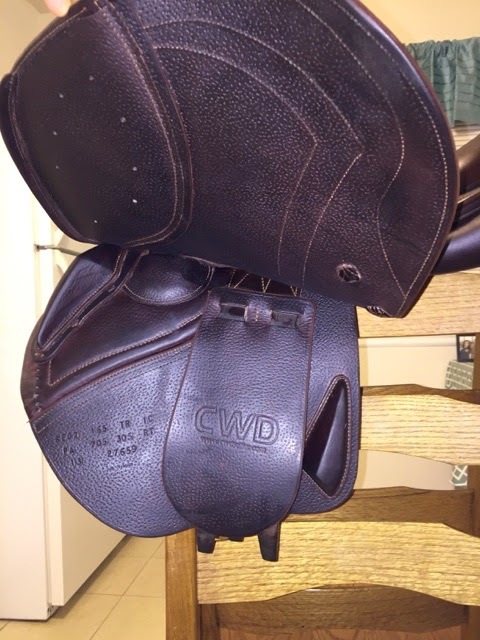 CWD's are the best! soooooo gorgeous!!!! hope you and Connor love it!! Oh god that is beautiful!!! OMG, look at that lovely forward flap!!!! My eyes just popped out of my head -- IT'S SO BEAUTIFUL. What are you going to name it? Because obviously a piece of tack that nice needs its own name. 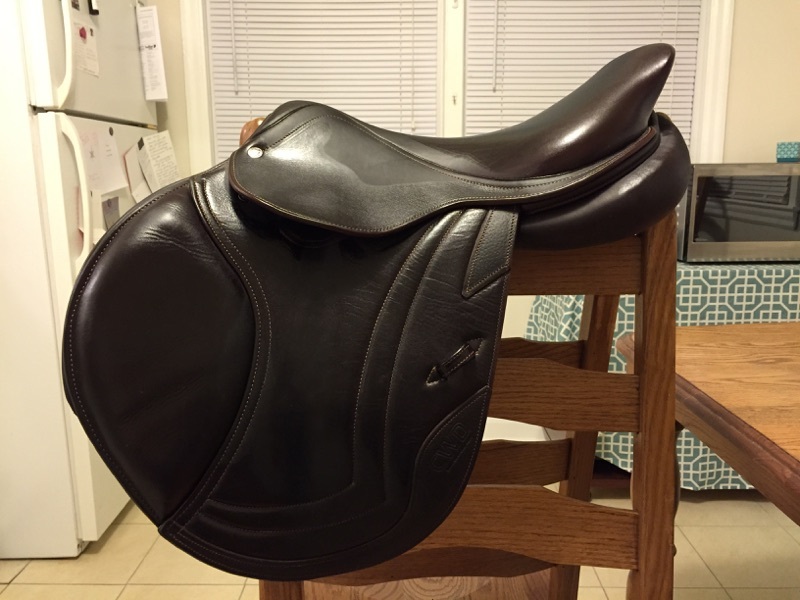 Major saddle envy right now, it's beautiful! Gorgeous!!! Glad it's finally happening. I have never sat in one either yet but I imagine the angels will start singing when I do. I am only getting this one because Mary is giving me the deal of a century, trust me! 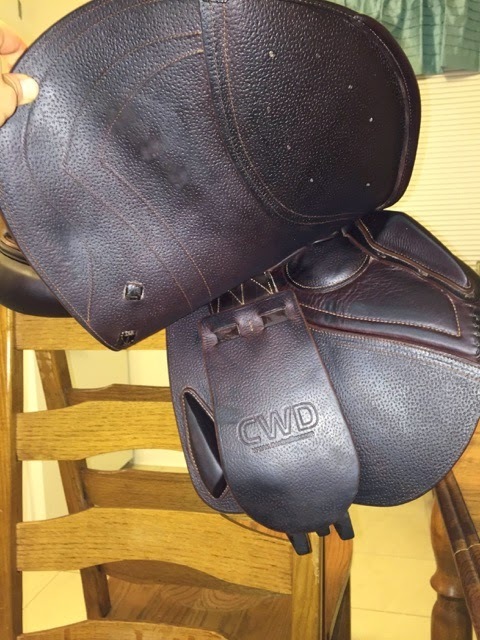 Drool, and I have a CWD. Your booty will thank you. 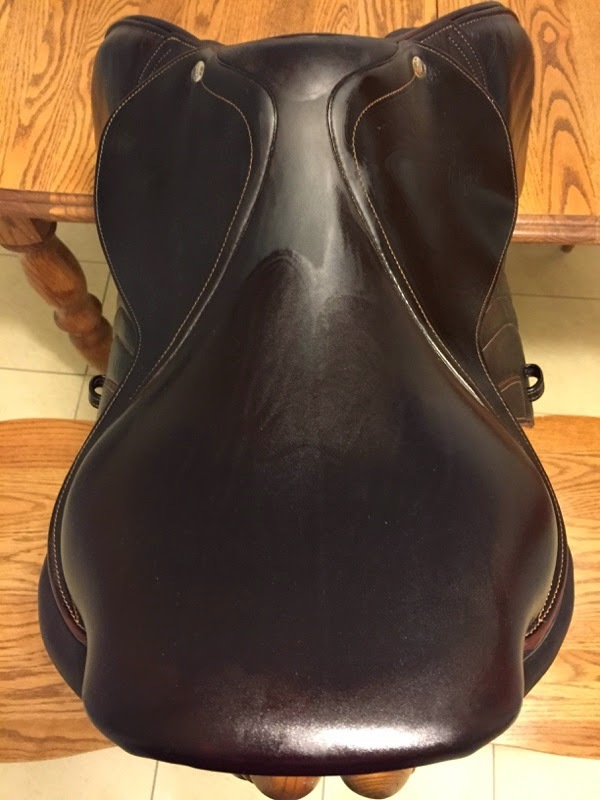 Man I need someone to clean and oil my saddle like that! Yay! Crossing my fingers that it fits!!! As a fellow shorty I will be enjoying your short flaps vicariously!